A great article from Ed Stetzer – a guy who spends a lot of time asking the question “why?” when it comes to the way church is done. 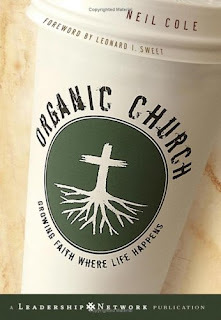 It includes some stuff from Neil Cole, author of Organic Church which is a necessary read for those looking to get into “professional” ministry. It is a definite read, especially for those who think church is done by the “paid staff” rather than something we do together. Previous postHey is the Church Where They Have Keg Parties? Next postWhat the heck is DISCIPLESHIP?